Enjoy 16 momos - alone or with a friend - and stay for the free movie. Wonderful Momo Dinner ($10) plus a fun film (free)! ALL ARE WELCOME TO THE MOVIE AT 6:30PM! 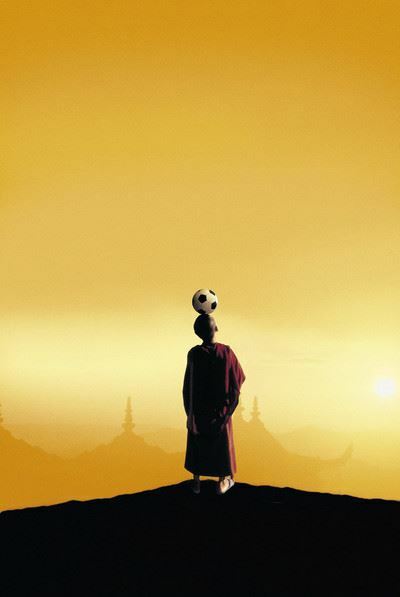 From Roger Ebert: "In the courtyard of their monastery, dressed in traditional robes, their heads shaven, young monks play a game of soccer, kicking around a Coke can. This image, near the beginning of "The Cup," symbolizes its cheerful truce between the sacred and the mundane. The movie is a light-hearted comedy with serious undertones about the Chinese campaign against the traditions of Tibet. "The film takes place at a Tibetan monastery in exile in India, which from time to time receives Tibetan children whose parents have smuggled them past the border guards so that they can be raised in the ancient Buddhist teachings. The monastery is overseen by an abbot, who knows that the ancient ways in which he was raised are now in collision with the modern world, and so he is not altogether astonished when a 12-year-old student named Orgyen stirs up desire among his fellow students to watch the World Cup finals on TV. "'The Cup,' which is the first feature film ever made in Bhutan, was directed by Khyentse Norbu, a lama who must have learned a lot about filmmaking while serving as Bernardo Bertolucci's assistant during the filming of "Little Buddha." The film has a distinctly Western feel in its timing and character development; it's not an inaccessible exercise in impenetrable mysteries, but a delightful demonstration of how spirituality can coexist quite happily with an intense desire for France to defeat Brazil."